The NEX-7, Sony's flagship compact system camera (CSC), will be available as a kit with an 18-5mm lens from the end of February. After the initial launch was delayed due to flooding in Thailand we got our hands on the camera for our NEX-7 review, but even after launching in December, you couldn't buy a NEX-7 as a kit with a lens. 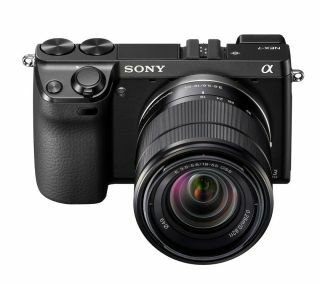 That has finally changed as Sony has announced that the NEX-7 kit, which comes with a black 18-55mm f3.5-5.6 lens will be on the shelves by the end of February. It also works with existing NEX E-mount lenses, but this is the first time it's been available in kit form. The NEX-7 is aimed at users who want DSLR function from a smaller camera. It's also one of the few cameras that will record Full HD movies with autofocus and manual exposure control. The camera body itself weighs only 291g and packs in a large APS-C-sized sensor that is found in DSLRs, giving it better low light performance. The kit will go on sale for £1129, which compared to the body only price of £999 is quite the bargain. There's also a rather nice Carl Zeiss E-mount 24mm f1.8 lens on its way too, though at £839 it's not the cheapest addition for your shiny new NEX-7.